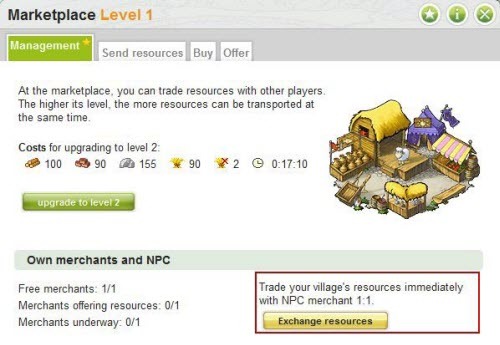 The NPC trade option can be found in the Marketplace, under the Management tab. When you click the “Exchange resources” button, another window will open. There you can redistribute resouces however you need them. 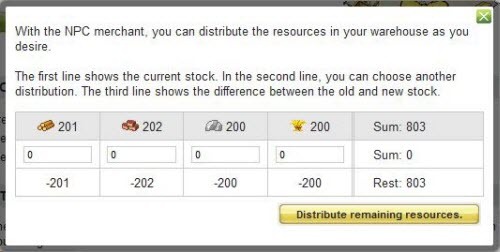 Pressing the button “Distribute remaining resources” will equally redistribute resources. The NPC trade option can be also accessed from any building that permits such trade. When you don’t have enough resources for an update, a gold button “Exchange resources” will appear. 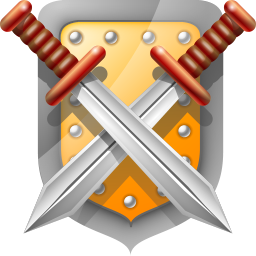 When you click the button a new window will open with resources distributed according to requirements of the upgrade. You are playing the game via iPad, or a smart phone which is not supported and therefore the NPC doesn’t work.